Mississauga, Ontario, Canada - C-Therm recently awarded its 4th annual travel bursary for students pursuing studies in thermal conductivity analysis to PhD student Miao Yao of Nanjing University of Science & Technology. 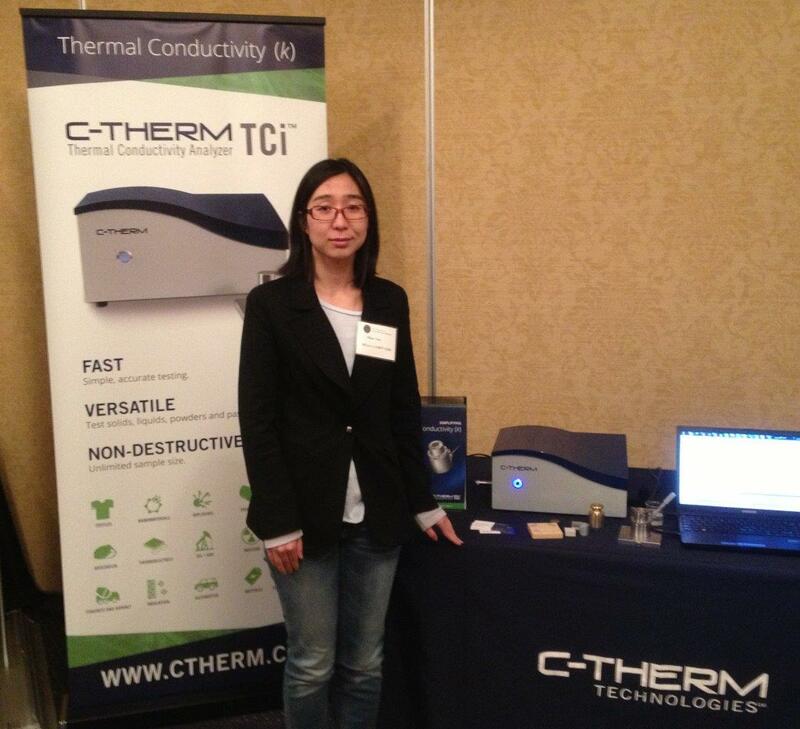 With the help of C-Therm, Miao was able to present her research along with Dr. Shanti Singh at the Canadian Thermal Analysis Society (CTAS) conference early this month. Miao works directly with Dr. Singh at the Canmet Canadian Explosives Research Laboratory and presented their recent findings at CTAS in Mississauga, Ontario, Canada. The C-therm travel bursary program is open to all Masters and PhD students affiliated with an accredited post-secondary institution. The annual bursary provides up to $1,200 in travel reimbursement to those approved. The bursary rewards students who are presenting a paper, poster or leading a technical discussion on their work in thermal conductivity analysis. "C-Therm is pleased to be able to support students each year with out travel bursary and plans to continue supporting young professional beginning their careeer in the field of thermal analysis" said C-Therm Managing Director, Adam Harris. Miao was eager to present her recent research at CTAS stating, "CTAS was a really great and rare chance for me to learn and share experience in thermal analysis". Regarding her research, she continued "With C-Therm's assistance I was able to attend CTAS 2014 and present my research on explosives. The TCi greatly simplified my thermal analysis capabilities". C-Therm will announce its call for applications for the 2015 Student Travel Bursary later this year.